Volunteers up and ready for the long day ahead distributing goods to evacuees in three areas in CDO. The relief operations was done in partnership with Mahintana Foundation, Inc., Kasilak Development Foundation, Inc and Dole Stanfilco. 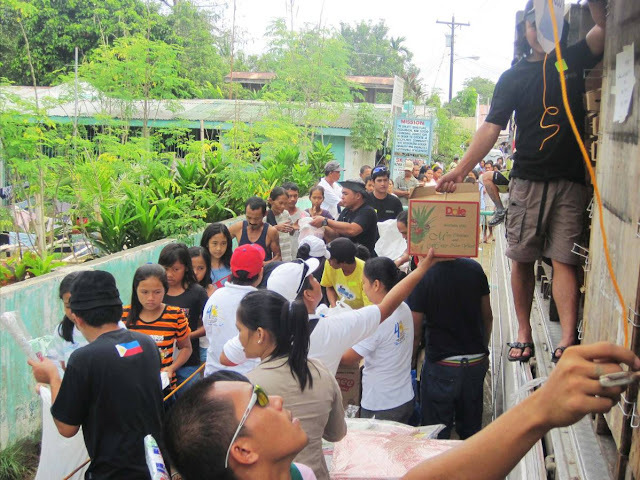 Last December 29, 2011, Dolefil's Caravan of Hope another CSR program of Dole Philippines was sent to Northern Mindanao specifically in the cities of Cagayan de Oro and Valencia in Bukidnon for the second wave of relief operations to help and give hope to the victims of Typhoon Sendong. During the first wave of relief operations, forty-five (45) volunteers consisted of members of the Dolefil Kaugnay, Dolefil Mountaineering Club, as well as the company's partner cooperatives, left on-board three commuter vans on route to a ten-hour trip to Cagayan De Oro. Soon after, three ten-wheeler trucks from Jomaray Trucking followed, carrying the relief goods composed of Dole canned pineapple products, rice, other canned food items, noodles, plastic mats, blankets/quilts, water with an estimated value of P4.5 million, sufficient for 3,120 family-beneficiaries. 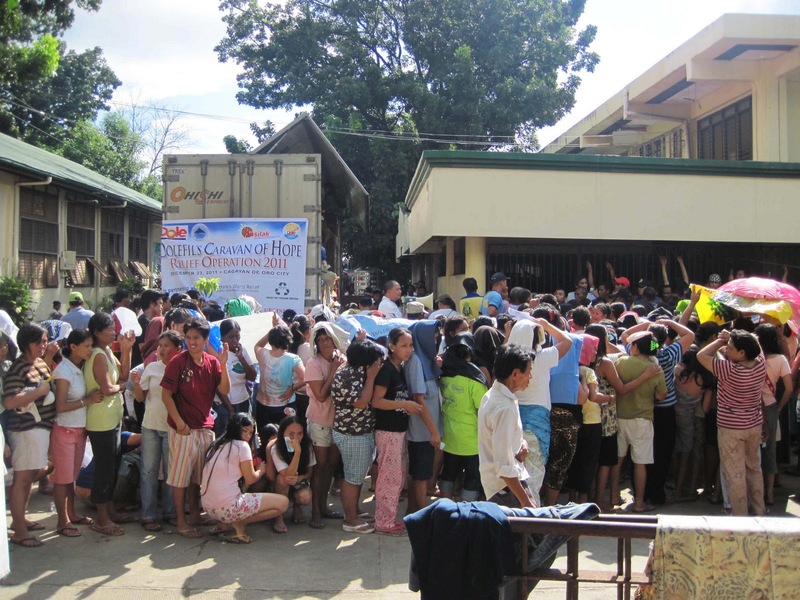 Evacuees line up for relief goods despite the heat of the sun. The volunteers themselves distributed the relief goods to various evacuation centers in Cagayan de Oro City, bringing smiles to families left homeless by Tropical Storm Sendong. Aids amounting to P1.2 million were also extended to families in Valencia City in Bukidnon, which were also disheartened by the recent calamity that hit various provinces in Northern Mindanao. Dolefil employees alone have collectively raised over P1M, which was used to purchase basic necessities such as rice and water for the family-beneficiaries.